Located just 4 miles (5 minutes) from the Crowne Plaza Englewood Hotel, The Shops at Riverside is Bergen County's premiere shopping destination featuring an unrivaled collection of over 70 high-end and bridge specialty stores including such premiere retailers as Tiffany & Co., Louis Vuitton, Hermes, Williams Sonoma, Godiva Chocolatier, Salvatore Ferragamo, Barney's CO-OP, Petit Bateau and many more. Anchored by Bloomingdale's, Saks Fifth Avenue, Barnes & Noble and Pottery Barn, The Shops at Riverside also offers a full-service day spa - The Fountain Spa. Topped off by “New Jersey’s own Restaurant Row” with eight full-service fine dining restaurants including Morton’s The Steakhouse, Houston’s, McCormick & Schmick’s,The Cheesecake Factory, Maggiano's Little Italy, P.F. Chang's China Bistro and Rosa Mexicano complete the fashionable merchandise mix. 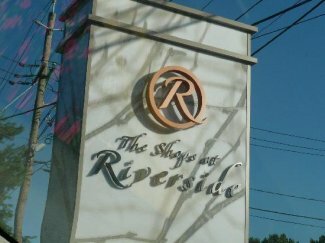 The Shops at Riverside provides a pleasant, sophisticated shopping experience for guests with distinctive taste.